It’s almost a year since the Olympics, and we’re all wondering how we can fill the sporting void. There’s a plethora of sporting events across the capital this summer, so here’s a roundup of just some of the action over the coming weeks and some ideas for getting there by cab. From the 10th of June the historic Queen’s Club in West Kensington will host the AEGON Championships. This year Marin Čilić will mount a defence of his title against the likes of Andy Murray, Jo Wilfried Tsonga and Tomas Berdych. To avoid the queues at the station or feeding the parking meter, why not take a cab from the glamorous High Street Kensington. This tennis tournament needs no introduction; suffice it to say it’s a Londoner’s first thought when the words ‘sport’ and ‘summer’ are voiced. In no time at all the crowds of tennis fanatics will be gathering, sun-glasses at the ready and under the shade of their hats, hopefully not sheltering under their umbrellas! To avoid looking like you’ve played six sets yourself, forgo the stuffy tubes and travel over ground to Wimbledon station and on by taxi. The sights are much better too as you pass through this normally quiet suburb with Tennis Fever in full flow. 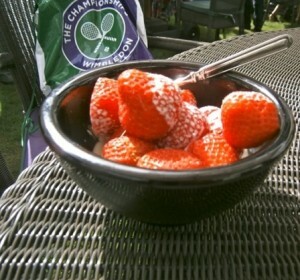 You could take the opportunity to pick up a chilled drink and some strawberries and cream from Centre Court Shopping Centre before your cab takes you up the hill to the courts. The best cricketing countries in the world come together for what is essentially the 50 overs World Cup. With matches being played across England and Wales’ biggest cities, the Kennington Oval will be flying the flag for London. Take a taxi over Vauxhall Bridge and keep an eye out for the iconic MI6 building as you do, before enjoying a day, or afternoon and floodlit evening at the cricket. Book a cab from Swiss Cottage to Lord’s – ‘the home of cricket’ – and you’ll travel through St. John’s Wood and likely drive over the Beatles’ famous Abbey Road crossing. Once there, sit back and soak up the atmosphere of a rivalry dating back to 1882 as England take on the Aussies in the second test of the series. 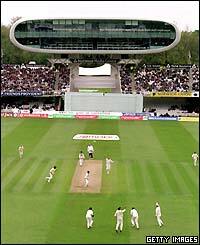 In August, head to the Oval for the fifth and final test to see who can earn the bragging rights this year. And if none of the above is quite Olympian enough for you, then hopefully you’ve got a much-sought-after ticket to the Anniversary Games at the end of July. The likes of Mo Farah and Jess Ennis will be back and Usain Bolt returns to the Olympic Park, hoping to prove his recent loss in Rome to Justin Gatlin was just a minor blip. Book a minicab online and get a great view of the Stadium and Olympic Park as you approach Stratford from Hackney Central.